Love is All We Need | Scripture and Jesus on Love | What is Love? Love, Above All | How Should We Then Love? In our complex, chaotic, confusing world, we Christians don’t need greater certainty about our particular brand of doctrine. We don’t need to find the latest and greatest or oldest and truest form of worship. We don’t need more political engagement, more activism for the Christian cause. Theology, liturgy, politics, and more are not inherently wrong, of course, and can even be very good, even vitally important—but none of these is the one thing we most desperately need. We need to love each other. I’ve spent the last three parts in this series making my case for this claim, and sketching out what this love looks like. 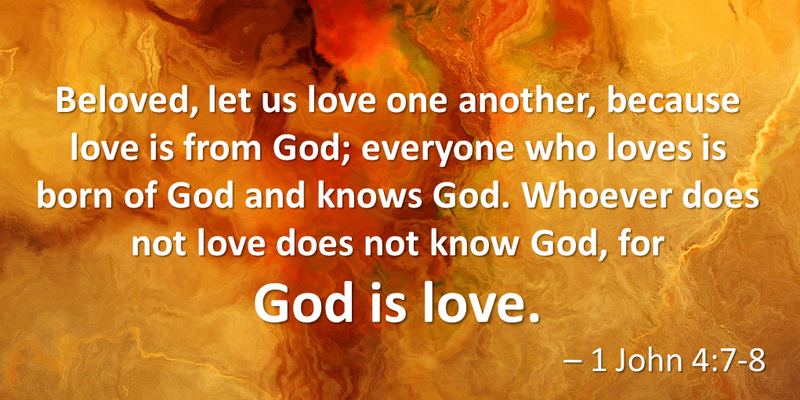 I say, “Love is all we need,” because I believe Scripture points us to this. I believe Jesus points us to this. That was part two. I say, “Love is all we need,” because I believe all other divine commands and human virtues—including holiness and truth-speaking—are subsumed under love, governed by love, even defined by love. That was part four. I say, “Love is all we need,” because I believe the love Scripture and Jesus point to is not mere tolerance, or mere affection, but something far more, far more substantial, far more necessary. That was part three. But what does this love look like in practice? In the nitty-gritty of the real world, where the rubber meets the road of life, what might it look like for us to love each other in the way of Jesus? The New Testament itself gives some practical suggestions. Here’s Jesus: “In everything do to others as you would have them do to you” (Matt 7:12; Luke 6:31). This has been analyzed and critiqued from every possible angle, but it seems to me this Golden Rule is simply Jesus’ rough-and-ready guide for putting “Love your neighbour as yourself” into action. How would I feel if someone said this to me? If it would be a good or necessary feeling, say it. If not, zip it. If I were this person, how would I react if someone did this to me? If my reaction would be positive, do it. If not, don’t. What would I want someone to do for me if I were in this situation? Do it for them, if you’re at all able. 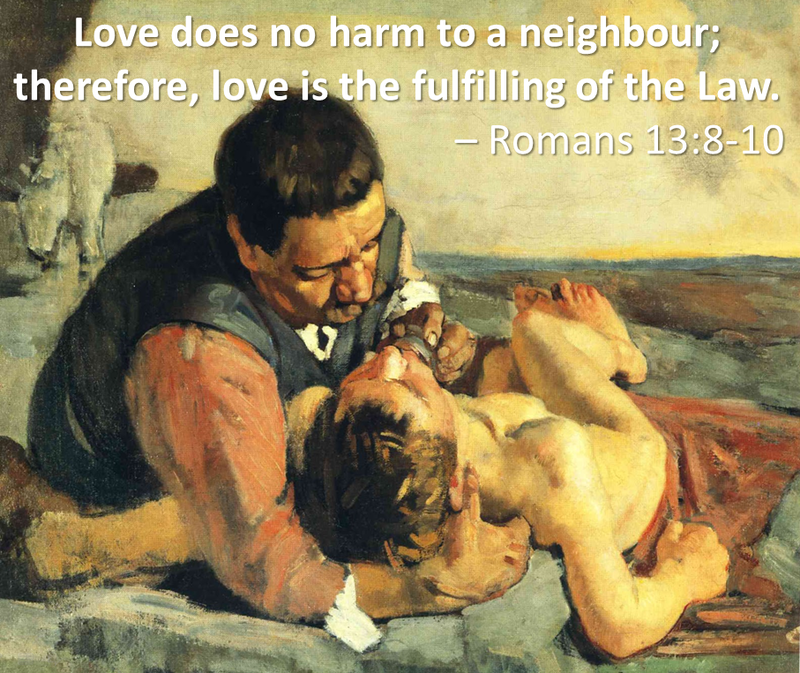 Then there’s the Good Samaritan story, Jesus’ own commentary on “Love your neighbour as yourself” (Luke 10:25-37). In the story, the Samaritan shows compassion for the Jew—typically hostile neighbours, these—caring for one who was violated, left destitute, left for dead. He treats the man’s injuries, brings him to a place of rest and ensures his continued care, all on his own dime, irrespective of who this man was or whether he was “worthy” of such care. In a similar vein, James connects this neighbour love with how the poor are treated—not just in terms of caring for their material needs, but also in terms of showing them honour and respect (Jas 2:1-9). And John asks this piercing question: “How does God’s love abide in anyone who has the world’s goods and sees a brother or sister in need and yet refuses help?” (1 John 3:16-18). That woman violated by her abuser—care for her in this way. That family left destitute after a sudden job loss—love them like this. That returning veteran dead inside from the trauma of war—show her compassion like this. That whole mass of people without adequate health care, education, or even food for the table—treat them in this way. That Muslim immigrant, that gay couple, that redneck conservative or that flaming liberal, whatever your “despised other” is—shower them with this kind of love. Another angle on putting this Christ-like love into action can be seen in the many “one another” passages, mostly found in Paul’s letters. 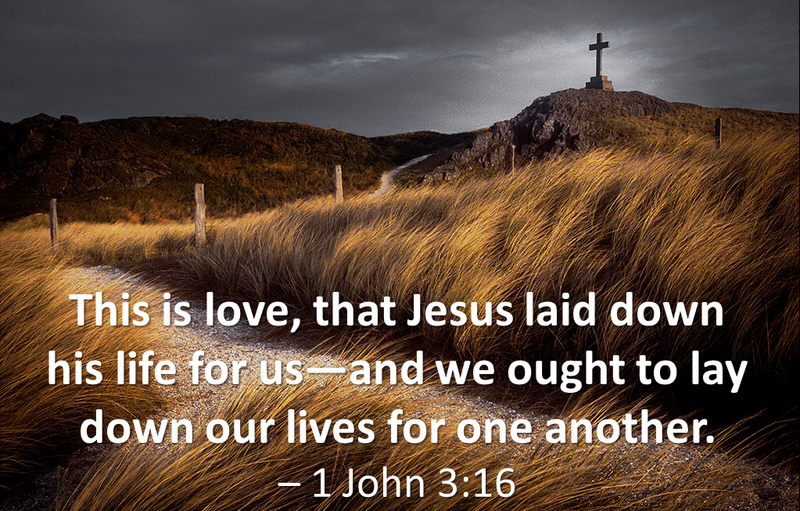 If “love one another as Jesus has loved us” sums up all the virtues and ideals for Paul, then all the “x one another” passages are expressions of this love. “Love one another” means “patiently tolerate one another” (Eph 4:2)—yes, those people you dislike, or disagree with. “Love one another” means “accept one another” (Rom 15:7)—welcome others with open arms, open homes, open tables, even those you might not normally associate with. “Love one another” means “encourage one another” (1 Thess 5:11)—don’t tear down others with harsh or cruel words, but build them up with kind words (even on the internet). “Love one another” means “honour one another” (Rom 12:10)—show respect to everyone, even the “nobodies” and “nothings” among you, those on the fringes around you. “Love one another” means “bear one another’s burdens” (Gal 6:2)—we’ve all got them, those difficult burdens of life, so let’s lend each other a hand with them. “Love one another” means “do not judge one another” (Rom 14:13)—unless you wear a robe to work and bang a gavel all day, that’s not your job, ever. “Love one another” means “forgive one another” (Eph 4:32; Col 3:13)—just let it go, release them from the heavy burden of guilt and yourself from the choking tangle of bitterness. And many more—all specific attitudes and actions that flesh out what it looks like to love one another in the way of Jesus. The Golden Rule, the Good Samaritan, these “one another” commands—all of these connect to some ideas I’ve suggested already. In my third post I described this Jesus-love this way: freely giving ourselves for others so that they might experience flourishing life together with us, even if we feel they don’t deserve it, even when it hurts us to do so. This “flourishing life” that is the goal of love, I suggested, is at minimum having our basic, universal human needs met—and this, too, can give us a window on love in action. Clean air is a basic human need—so love might mean pushing for tougher regulations on polluting industries. Clean water is a basic human need—so love might mean giving money for clean water initiatives in developing countries. Nourishing food is a basic human need—so love might mean volunteering at a breakfast program in your local elementary school. Adequate warmth in clothing and shelter is a basic human need—so love might mean donating blankets and jackets to an inner city soup kitchen before winter hits. Simple health and safety is a basic human need—so love might mean supporting restorative justice programs in your community. Positive relationships with others is a basic human need—so love might mean learning about the complexity of human sexuality so you can better empathize with LGBT persons. A sense of belonging in a group is a basic human need—so love might mean inviting your new-to-town neighbour to your weekly bowling night. A sense of meaning or purpose, of experiencing and contributing to beauty, truth, and goodness in the world, is a basic human need—so love might mean starting a community children’s choir or a neighborhood book club. There is no one-size-fits-all answer to the question, “How should I love others?” Each person is unique, each interaction between people is unique—and each person needs love, every single time we interact with each other. We can’t do all these things I’ve suggested in this post. We can’t do everything we could ever imagine. We can’t love everyone. We can’t even love all the time. But we can love this person. We can love in this moment. We can start with one act of love, however small, and let it grow from there. That’s how kingdoms are born, after all. Treat others the way you would like to be treated, in your attitudes, your words, your actions toward them. Give yourself—your time, your energy, your attention, your compassion, your money, your things, your very self—for others. Do these things, striving for flourishing life together: our basic needs as human persons met, all shared together. And do these things for all others you encounter: neighbours and enemies, friends and strangers, family and foreigners, good and bad alike. Sounds simple, and in a way it is. Love cuts through the chaos and confusion of our complex world, it slices through all our insistence on right doctrine or correct morality or proper ritual, right down to what matters most. But it’s not easy. It is the most difficult thing we can do in life, loving each other. This kind of love is the foundation for true justice. This kind of love is the basis for lasting peace. This kind of love is the source of flourishing life. This kind of love is the love that God is, the love that God has shown us in Jesus, the love that God calls us as followers of Jesus to live out, energized by the Spirit.